March 7th, Ipad2 price is going to drop again, according to a friend of mine who works in the industry. The first 10 pages of this thread are comedy gold. 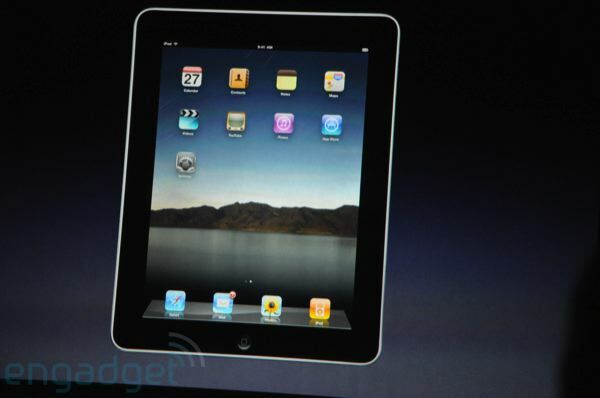 Yep Ipad 3 is supposed to be announced. Ya BB is already discounting them and I heard by the end of the month if not sooner. The iPad "killer" was always just around the corner. What ever happened to that device? Someone will be along shortly to tell you how stupid you are because you don't understand the future of the tablet market and the fact that the iPad is already dead... it just doesn't know it yet. yeah, no single device came out with BOTH the power and the price point... but the slow (much slower than I thought) erosion of market share is well underway. Mostly due to price. The "corporate" killer could be the Windows tabs if Microsoft doesn't screw it up... but I don't have a whole lot of faith. I have a feeling they will be buggy at first and way overpriced .. even for the corporate market. I haven't double checked the figures but I have heard that iPad is down to 57% market share now... which is a pretty big drop but it looks like my prediction of 15-17% market share won't be realized for awhile. If the current rate of decline holds steady, then we are looking at under 20% market share in 5 more quarters. (I only have 4 quarters left on my bet.. 3.3 really, but the figures come out 1 quarter behind) The only real wildcard might be Windows 8. Funny follow up on that.. it's all about price... if you look at the figures, even the Playbook had an almost Touchpad-like jump in sales after they slashed prices. "The IPhone is already dead"
While the iPad's share in the tablet market has steadily declined, there's been no one Android tablet to take the majority of the credit. Amazon's Kindle Fire, which was released during the 2011 holiday season, has ignited a lot of interest in the Android tablet environment. Nevertheless, it hasn't managed to break through to a level of sales that puts significant pressure on the iPad. A new research report from Forrester Research finds that Apple's device now has a 73% stranglehold on the tablet market. That's pretty impressive, but keep in mind that the iPad invented the market so it effectively had a 100% market share just a couple years ago. So where's the other 27%? That's a good question. Forrester found that Samsung was the leader in non-iPad tablet manufacturing, but even if you combine all of its Android tablets, it still only commands a 5% market share. Below that, Motorola clocks in with 4% and Acer is clinging to 3%. According to estimates, the Kindle Fire sold fewer units than Samsung did in 2011, but of course the Kindle Fire was only around for the last month of the year. These numbers are sure to change, especially as the Kindle Fire and other low-cost Android tablets make a real punch. But today is a vital day to measure the market, as Apple will be introducing the next iPad tomorrow. With all the hype that has been built up surrounding the new Apple device, the market is sure to start leaning back in that company's direction. Sorry, had to get one jab in.. I have a Kindle Fire. Its awesome, though glitchy, and no way comparable to the iPad. Unless you think a Ferrari 599 and a Hyundai Accent are comparable. I do prefer the size of the Fire, especially since I primarily read on it. But that's it. 1) I finally replaced my 96 Hyundai Accent last November. It still runs well, I just like the convenience of having a four door Toyota Camry because I am constantly running my two teenagers around. 2) I finally grabbed a Kindle Fire last month and it's nice. It has replaced the laptop niche in my home. I find that I have missed the feeling of carrying a book around in my hand. annnouncement should be going on right now. Whats the word? ANyone? Pretty much what was expected, higher res, upgraded gpu, LTE, same price, launches March 16. Word on iPad2 price drop?